Many people think that the trees which surround them on their property, along the road and in front of commercial buildings, just showed up on their own. Some might also assume that the trees which help make South Florida so lush and beautiful take care of themselves without any issues at all. This isn’t the case, trees cannot be planted and simply forgotten about. They’re actually complex organisms which require unique care and treatment in cases of distress. 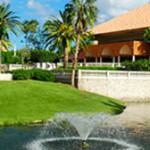 Our tree service in Boca Raton is aimed at keeping the trees on your property healthy and green. 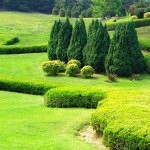 Our team of licensed landscape professionals includes experienced arborists which can treat the trees on your property. An arborist specializes in the cultivation, management and study of individual trees. We can diagnose issues that may be threatening the health and beauty of your trees, such as insects and diseases. Yes, trees can get diseases such as Lethal Yellowing and Laural Wilt Disease, which are common in many trees throughout South Florida. With the right care from our team at GLIG Groundworks, these problems can be addressed and treated through techniques aimed at overall success and maintained beauty. Many tree diseases are spread by insects which you cannot fully predict the patterns of. At GLIG Groundworks, our experts understand the types of insects which can threaten your trees. We know which signs to look for, and what treatments to use to eradicate and prevent the return of any pests which can harm your trees. Our maintenance services can help prune your trees for added beauty, we can guide and monitor the growth of your trees so they reach their full, beautiful potential. Lush, beautiful trees are a vital part of any property, commercial and residential alike. Trees can reduce your air conditioning costs by increasing the shade throughout your property and even improving the air quality. They can also provide wind and sun protection along with erosion control. For these reasons, the tress on your property can be some of the most valuable landscaping assets. At GLIG Groundworks, or initial goal is to preserve your existing trees to keep your property affordably beautiful and cool. If needed, we can plan, install and maintain new trees on your property as well. 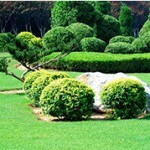 Our experts work with the best quality trees purchased from reputable growers. We plant these trees with design and sustainability in mind. Our team can help you determine the best location for new foliage, we take irrigation and sun abundance into consideration alongside the overall look and feel of your outdoor space. When you allow our experienced arborists to take care of your trees, you’re sure to have a property which is filled with beauty and life!